Preparation of Annual Financial Accounts as required by Company and Taxation Law. For Sole Traders, Partnerships and Limited Companies. Completion and submission of Personal Self Assessment Returns, including notification to clients of relevant tax liabilities and payment dates. Completion and online submission of CT600 Company Tax Return including notification of Corporation tax liability and date due. Completion and submission of Annual Accounts in the required format. Dealing with Companies Annual Returns (Form 363). Preparation of periodic management Accounts to help assist in the decision making processes at the relevant time for maximum impact on business profitability and to assist when trying to obtain finance. We offer a full Payroll Bureau Service which includes weekly, fortnightly, four weekly and monthly payrolls including periodic notification of PAYE liabilities. We also deal with End of Year Returns (5 April) i.e. P35, P14's etc., including online filing. Quarterly VAT Returns including Cash Accounting and flat rate scheme. Help and assistance in dealing with Tax and VAT Compliance Investigations including PAYE and NIC. Incorporation and full Company Secretarial Service, including online filing for annual returns. Preparation of business plans, cashflows and trading forecasts for existing and start up businesses. 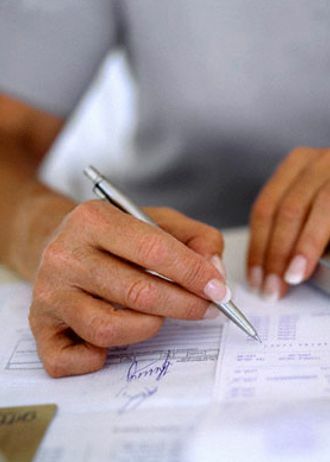 We offer a full Sage Computerised Book keeping Service including Cash Book maintenance, Sales and Purchase Ledgers inclusive. Age Debtors and Creditors, Petty Cash, Credit Card Controls etc.